This font works best in a graphics program. If you are using Microsoft Word and some letters won't print, I apologize. I am working on a solution. In the meantime, please try to use it in a graphics-based program such as Photoshop. Thanks for understanding! 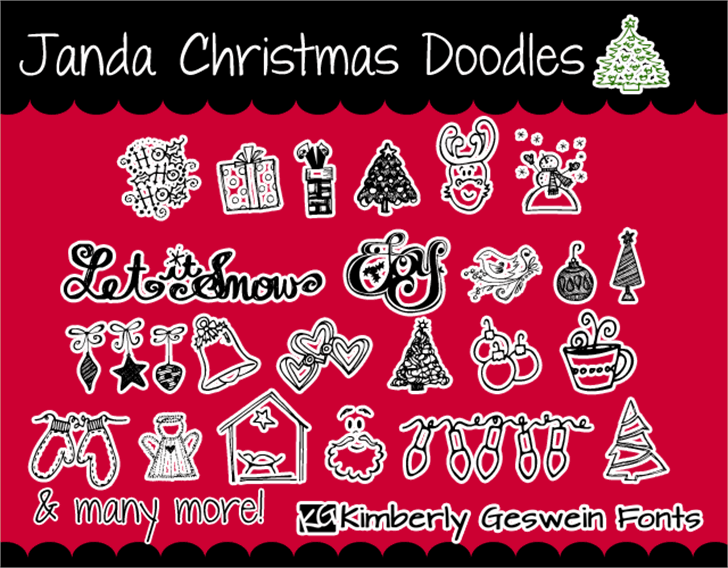 These will be perfect for the greeting cards and scrapbook pages for the holidays next year! Thank you so much!!! Such fun images! Thanks so much for sharing your talents. Merry Christmas!! !